I met the new owner of this car at Tonbridge this morning and had a good chat. He'd brought it in for its MOT. He's a convert from BMW and his name is Les. I've told him all about 911uk so he may be amongst our ranks very soon. He's also local so may join the Kent breakfast posse. Do you still see yourself in one in two years time? How much change back your way after the swap? This car is up for sale again at OPC Tonbridge. It's a sign of what's happened in the 911 market over the last 3 years that although it's now nearly 3 years older and has done 32,642 miles it's still up for £63,845 - only £6,150 less. So much for me hoping it would be c£45k by now. What was the mileage on the car back in 2015? T8, im not getting it with the 991? Id get it with a 991 turbo or GTS, but not with a Carrera. 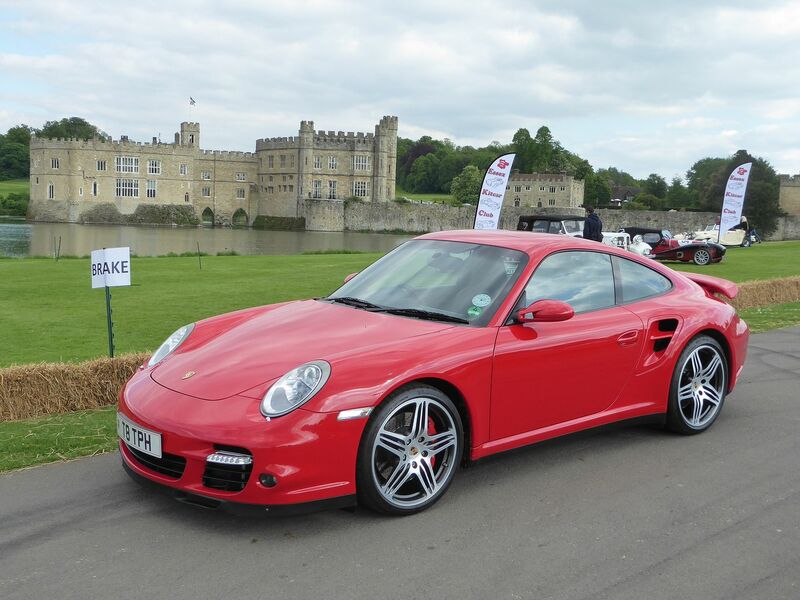 Your current turbo is stunning, in absence of ever finding a speed yellow 997 turbo or GTS, im drawn more and more to guards, it looks so good on a 997. I can totally see the appeal of the Carrera with the turbo'd engines. Simple remap and slight tweak and there getting close to 500bhp which is more than enough for a road car. They still sound good and have all the plus' of a 911. A nicely drivers focused specced car would be a brilliant road car IMO. I like this one. Needs a few tiny little tweeks but otherwise very nice. Thanks, 'Red' will be a hard act to follow. The current 'cost to change' means we'll be together for a while yet. I put 6k miles a year on my 911s and after 3.5 years am conscious of the mileage now starting to show. I know I'd miss the shove that the extra 74 horses give but would soon get used to it. I'm actually waiting for a C4S but the C2S featured in this thread would tempt me at the right price. I fell for the 991 when I first saw one - unbelievably 6 years ago - and really thought I'd have one by now. The 991 Turbo is far too much for my needs and the GTS will never come down to what I'd be prepared to spend on one. I was at Porsche Tonbridge on the 28th July and saw this car. It looked stunning and also have my eyes set on a similar car in the future now. The ducktail and guards red made it look very special. T8, on a positive note, if it had depreciated to £45k, your car may have also depreciated. Porsche residuals are still very strong. With the PCCB’s what checks do an OPC do them for an approved used car ? come on terry, you know the tonbridge guys. Time for a P/X? Wrong time to leave the country. It might be gone by the time he gets back. They look at the colour of the callipers and write PCCB on the advert seriously they don’t really check them, but just ask for them to be measured as that’s how to check the percentage life left in them. Interesting resurrection and some good insight into the real prices of 991's. The PCCB's are shrouded in mystery as regards the checks, I looked at a few and all had the 'wear markers' showing to some degree, which I was told is perfectly normal. The fronts are showing on mine and it didnt stop me buying. Once youve had PCCB, 'normal' brakes will never be sufficient..
Its a nice car despite the intergalactic mileage of 35k. Ductail looks good, but the sport technos just look wrong. I’m not really in a position to look at this car for a while, which is a shame as it ticks a lot of boxes for me. 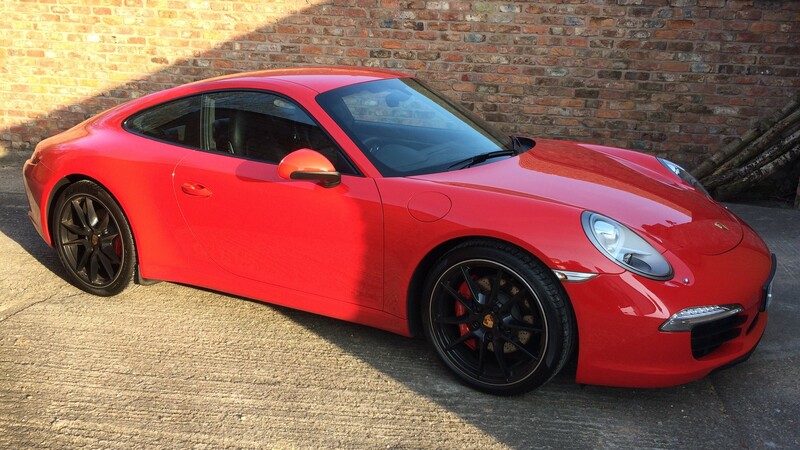 Im quite partial to them in red & would love the ducktail kit on mine, however still like the 991 lines without.